Your tour departs from the Greymouth i-SITE Visitor Information Centre at the Railway Station. Visit the Historic Brunner Mine Site, local popular tourists viewing points and Shantytown Heritage Park. Your tour departs from the Greymouth i-SITE Visitor Information Centre at the Railway Station. 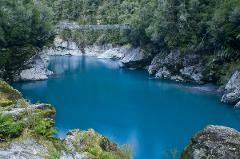 Walk amongst the tree tops while view the majestic Lake Mahinapua and visit Hokitika Gorge with its vivid turquoise water. Your tour departs from the Greymouth i-SITE Visitor Information Centre at the Railway Station. The famous Coast road to Punakaiki home to the Pancake Rocks, fascinating stacked limestone rocks that the sea has eroded creating blowholes. This tour operates daily at selected times. Book your ticket early and don't miss out! Self drive product. Book with us online and save $5 on your entry fee!! 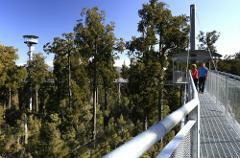 The West Coast Tree Top Walkway is located 40 minutes drive South of Greymouth, the central hub of the region. Last entry is 3.15pm in winter and 4.15pm in summer. Book with us online and save $$ on your entry!! 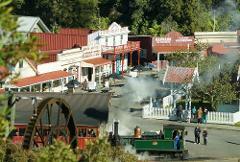 Shantytown Heritage Park is located just a 10 minute drive from central Greymouth. Open daily from 8.30am to 5pm. The West Coast Wildlife Centre is a unique and interactive experience that brings together nature, conservation and wildlife all under one roof! Book today to secure your discounted ticket for a general admission. Book with us online and save $$ on your entry fee!! The West Coast Wildlife Centre is a unique and interactive experience that brings together nature, conservation and wildlife all under one roof! 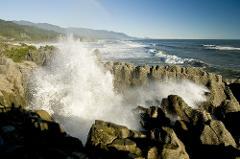 Explore West Coast tour package offers you a half day tour visiting Shantytown Heritage Park and Monteith's Brewery. Shantytown Heritage Park is located just a 10 minute drive from central Greymouth and open daily from 8.30am to 5pm. Book your tour to Shantytown including entry, gold panning and transport from central Greymouth. Explore West Coast with this tour to Lake Brunner, a glacial feed rainforest lake and Brunner Mine Site a historic mining area. 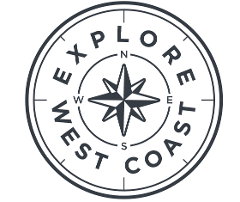 This Best of the West Tour is a full day out and about exploring the West Coast. Explore the famous Franz Josef Glacier and visit the West Coast Wildlife Centre to view New Zealand's native Kiwi bird. Travel the Untamed Natural Wilderness of the West Coast with our five night TranzAlpine Train package from Christchurch through to Queenstown.